For the month of December 2017, total Organic Soybeans imports reached 43,843 Metric Tons, an increase of 141% versus prior month and an increase of 84% versus prior year. Year to date, total imports have reached 436,725 Metric Tons which is an increase of 16% versus last year. 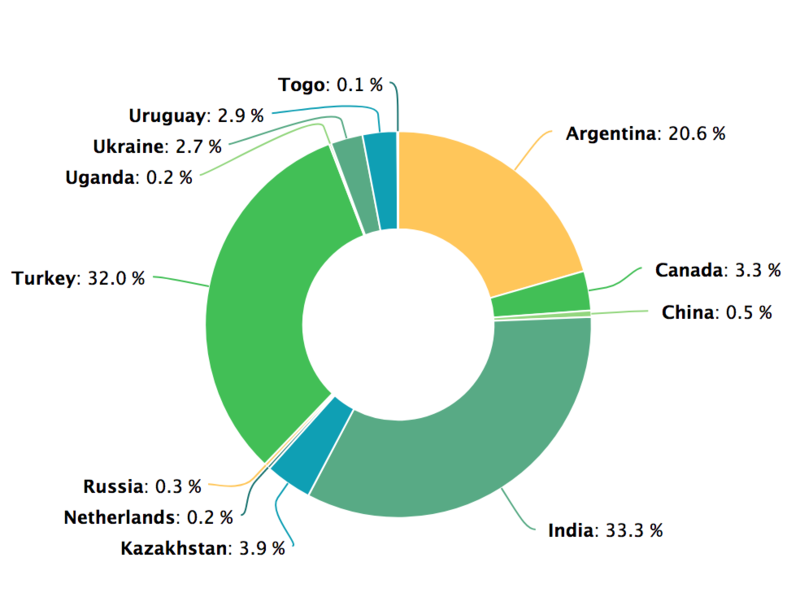 ORGANIC SOYBEANS IMPORT VOLUME BY COUNTRY PAST 12 MONTH For the 12 months prior to December 2017, the top 3 exporting countries to the US for Organic Soybeans were India, Turkey and Argentina. 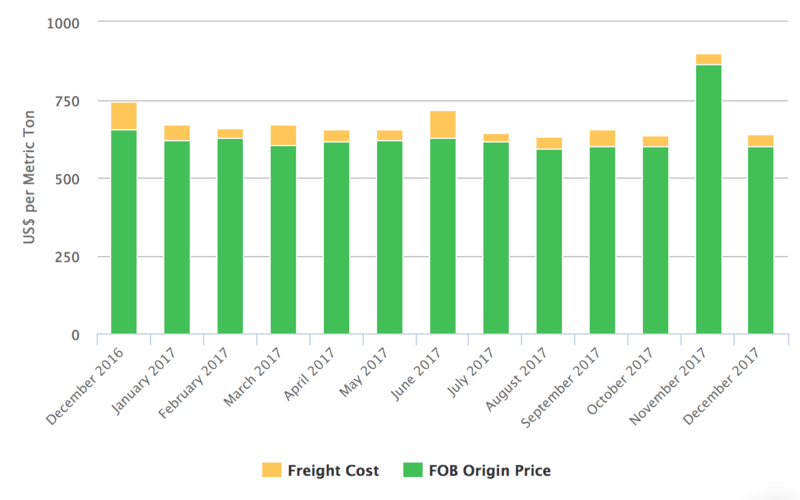 MONTHLY AVERAGE ORGANIC SOYBEANS IMPORT PRICES Organic Soybeans import prices in December decreased sharply by 28.60% from November from $897.99/mt to $641.20/mt. 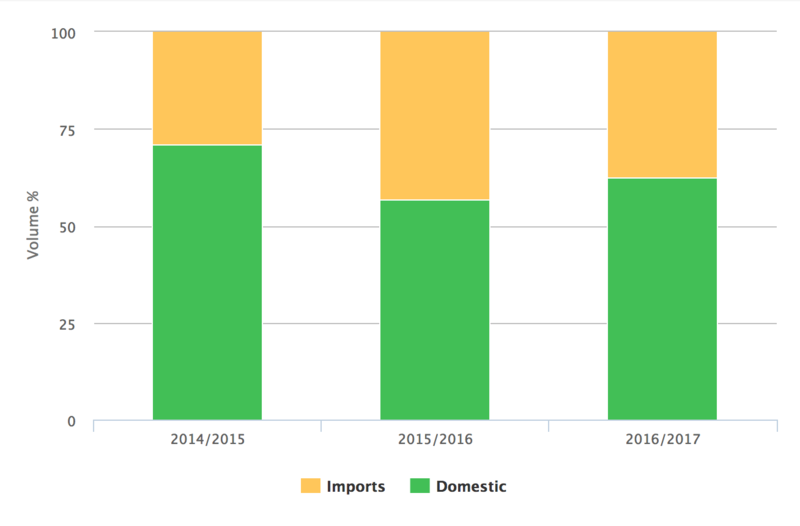 Import prices are 13.90% below prices at the same time last year. 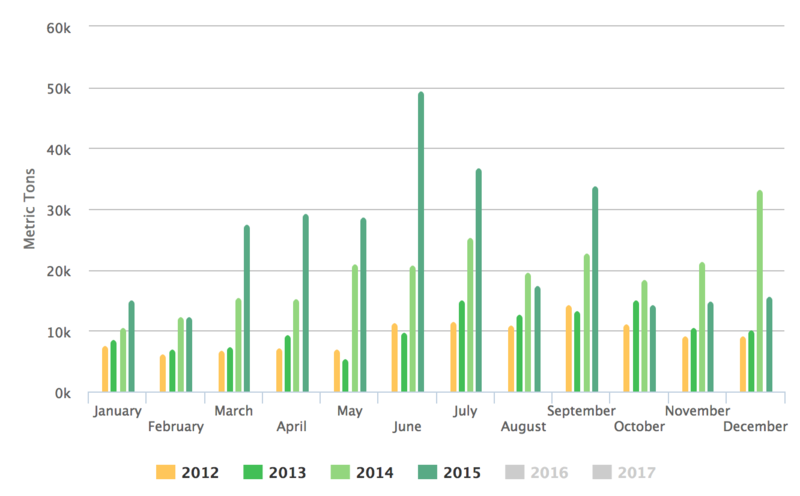 For each marketing year, the volume imported from abroad (as reported by US Customs) and the domestic production estimates (as estimated by Mercaris) are reported here. Marketing Year is defined as a period of one year designated for reporting and analysis of production, marketing and disposition of a commodity. For Soybeans it begins on September 1st.